Storage by Stampin'Up is available today. I'm placing an order today at 4:00pm. Contact me if you want to order any pieces. 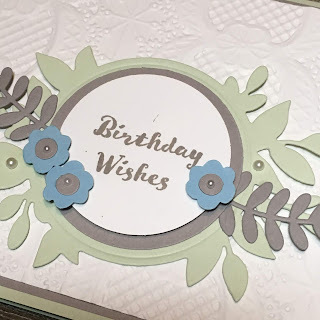 All the info on Storage by Stampin'Up is on this blog post. Storage by Stampin'Up Blog Post! 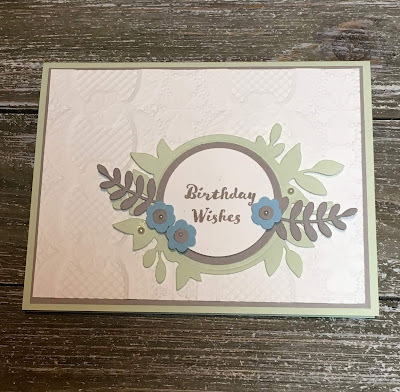 Today I'm sharing a card made with the Floral Frames stamp set and Foliage Frame Framelits Dies. You can buy these as a bundle and save 10%. This stamp set pairs well with the Lace Dynamic Textured Embossing Folder.